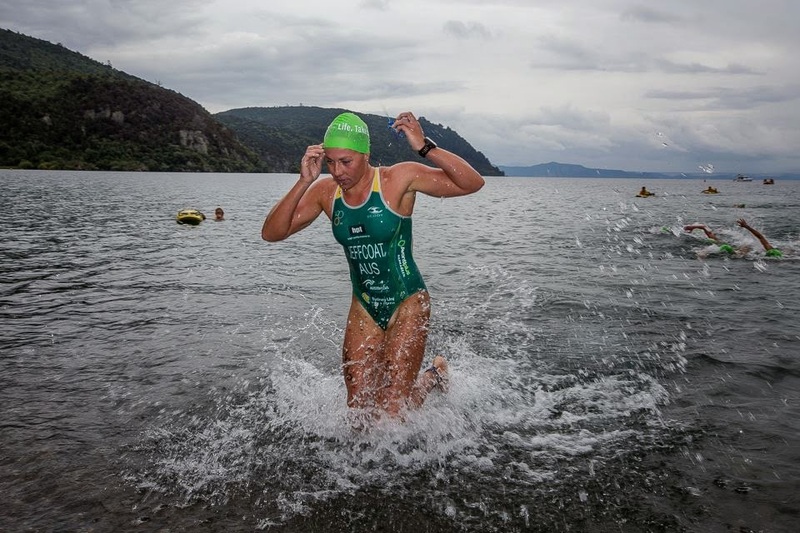 What an experience, racing in the beautiful NZ in Kinloch, about a 5 hour drive south of Auckland. We stayed in the Lake side town of Taupo, right on Lake Taupo. Compared to the last time I was over here in 2008, where it was a warm 15 degrees, where brain freezes came complimentary, Global warming has kicked in and it was a barmy 20.1 degrees, 0.1 too warm for a wetsuit swim, unlucky! race day was Sunday the 1/2/15. Elite Women Kicking it off at 12.45pm followed by the elite Men. Although I was told before leaving by the Kiwi physio that it hadn't rained since Christmas, we were treated to some heavy rain which us girls swear, started the second we jumped on the bike! The course was a 750m beach start lake swim, followed by a 5 lap, 4km loop, tight, technical and hilly bike course, made even more challenging with the rain! Followed by a 5km fast run with some slight ups and down, and a single lane super bridge to finish off, all tucked away in the small but classically NZ beautiful town of Kinloch. For me the race got off to a good solid start, I got away early in the swim, pulling away slightly from the main pack with 2 others to come out of the water 3rd. I quickly learnt the lesson of aim when throwing as my cap and goggles missed the box and I had to make more of an effort than I would like to back track getting it in. Jumping on the bike, I knew I was in for a very solid hit out if I was going to stick with the chasing front pack not far behind, with the likes of 2012 Olympians, World championship medallists and current Olympic Silver medallist (decided by image replay between the gold) Lisa Norden from Sweden. Lap 1 Hill came around quick, and the girls were even quicker hitting the hills with a surge, laying effort upon effort, and I found my first key area I need to work on as I drifted behind the pack, and so the race continued, the girls surging, me loving it but battling at the same time, until I found my happy place on lap 3 of 5, in the second chase pack. I was comfortable leading that pack sitting towards the front, and sat in until we got back into transition. I must note, we were lucky missing a nasty slide out crash round one of the sharp corners on the downhill, hearing screams and watching it right in front as you bounce around is never nice! Onto the run leg, took awhile to get those run legs working, too long for the likes of a 5km sprint race, another area to put some work in. Come lap two I was feeling better, moving better and had lifted my cadence up to bring home a strong finish against a quality field. 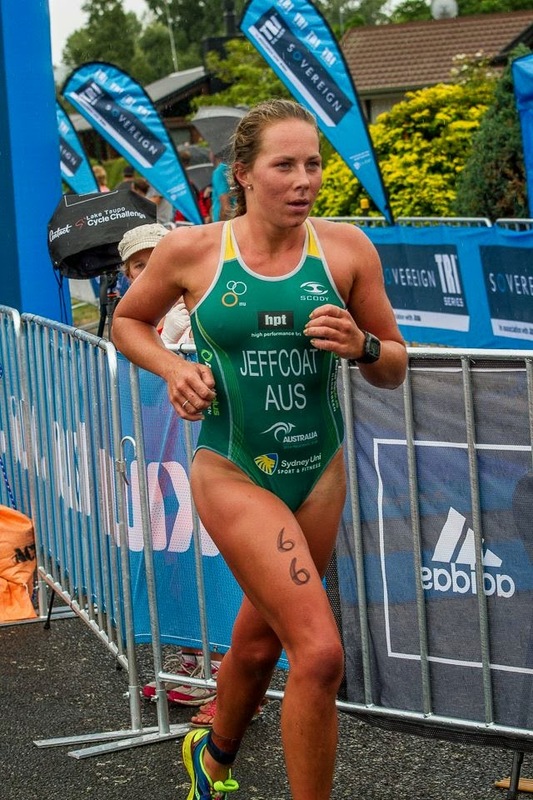 Overall I earned myself some ITU World Ranking Points with my 16th overall in the elite women's Oceania Champs, and 8th in the U/23 Oceania Championships. Lot's of positives to take away, even more to learn from and now put to use in training before the next few Races come around. Overall I was a happy girl! A well earned post race Chocolate ice cream treat! 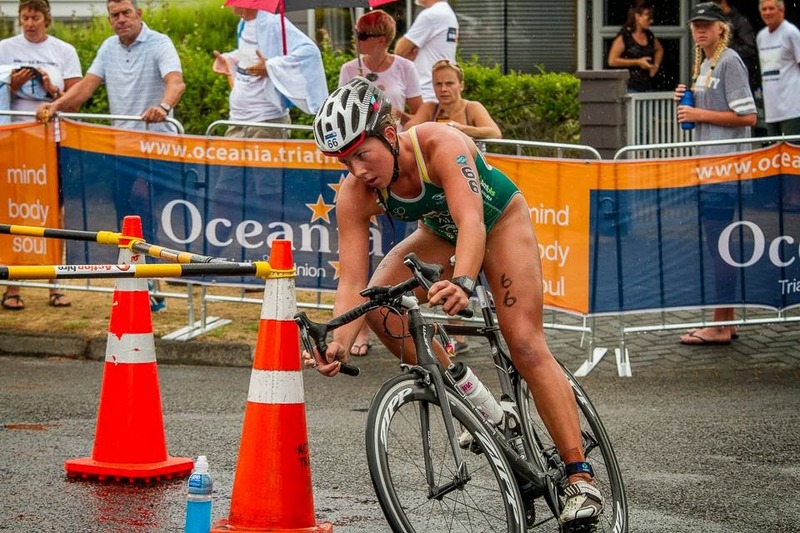 Kurnell NSW Sprint Series Race, 15/2. 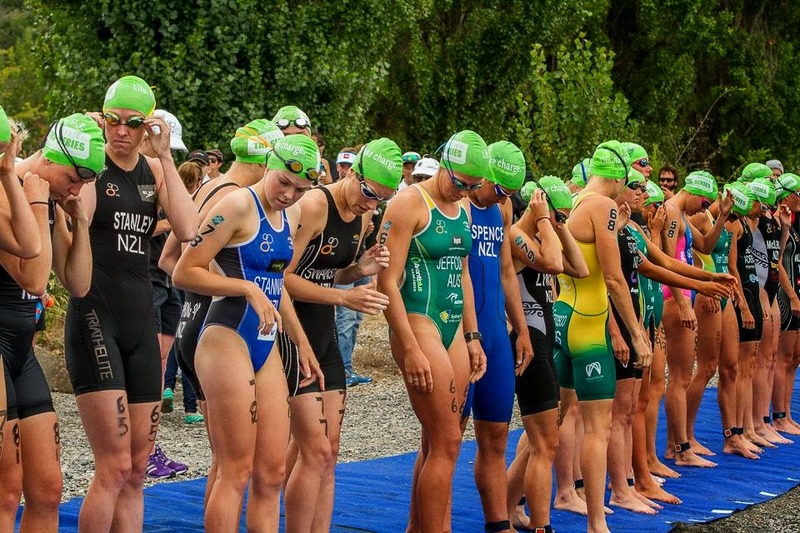 Devonport Tassie - OTU Oceania Olympic Distance Championships, 21/2. Cronulla F1Tri Race - 28/2. Wollongong Sprint Conti Cup Race, 7/3. Mooloolaba Olympic Conti Cup, 14/3. Pink Lady Women's Tri, 21/3. Sweet As, Time to Rip in!